Master your Speeds and Feeds the easy way with G-Wizard. How much do you spend on cutters in a year? If each one lasted 56% longer, you’d save 56% of that. Plus what’s the value of your time saved and time saved on jobs? G-Wizard pays for itself very quickly–you’ll see in the 30-day Free Trial. Spindle Speed and Feed Rate. Super simple for Beginners, powerful and flexible for Pros. Plus, the best training materials anywhere free with the product. How do you know when you’ve got the best Cut Depth and Cut Width? These two parameters matter more than almost any other for best Speeds and Feeds. G-Wizard will find the best combination to keep tool deflection under control while maximizing Material Removal Rate. No other software can. 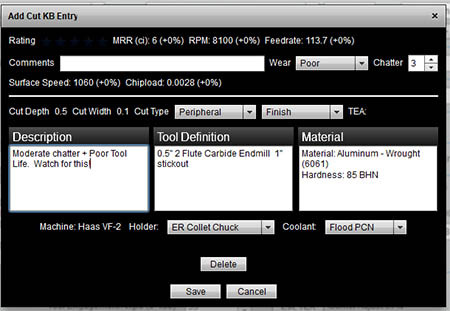 Are you looking to maximize tool life or material removal rates? 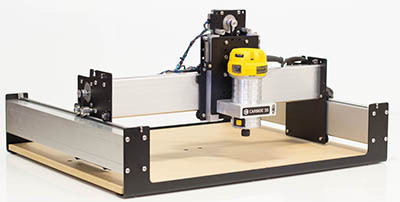 Do you have a small CNC machine or a big industrial machine? 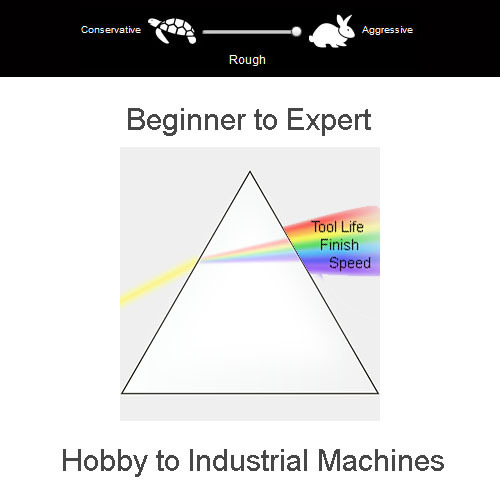 Are you trying to hog out a bunch of chips or achieve the best possible surface finish? the results you are looking for. 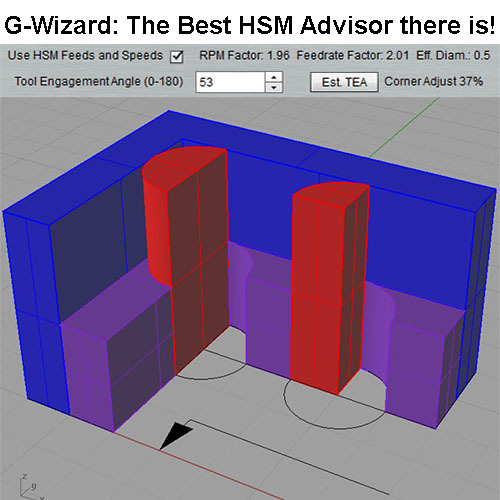 G-Wizard handles more tool types than other software can. Best of all, it has built-in support for the special cutter bits common to CNC Routers such as Downcut, Compression, and Straight Flute cutters. How often do you get to experiment with hundreds of different feed and speed combinations to find the best one for your job? 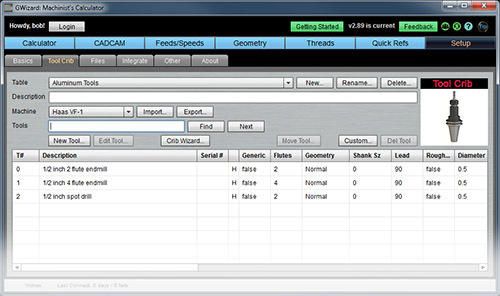 CADCAM Wizards will do that for you automatically in a matter of seconds and without asking too many questions. It’s like having a machining expert sitting at your shoulder telling you the right combination for the win–another G-Wizard first! 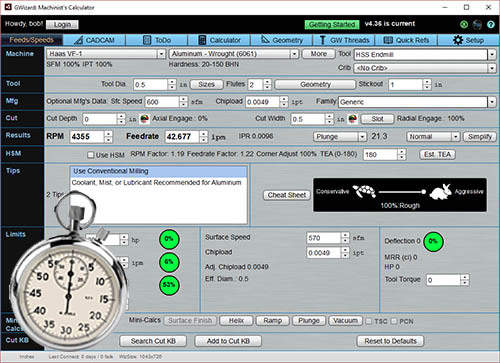 G-Wizard Calculator handles more different kinds of tooling than any other Speeds and Feeds Calculator. 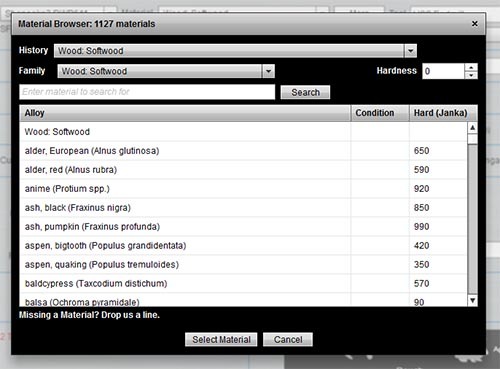 Import and Export tables from CSV files, use Manufacturer’s Recommended Data, define tool geometry, and use dozens of tool types for Mills, Routers (special router cutters handled) and Lathes. High Speed Machining. 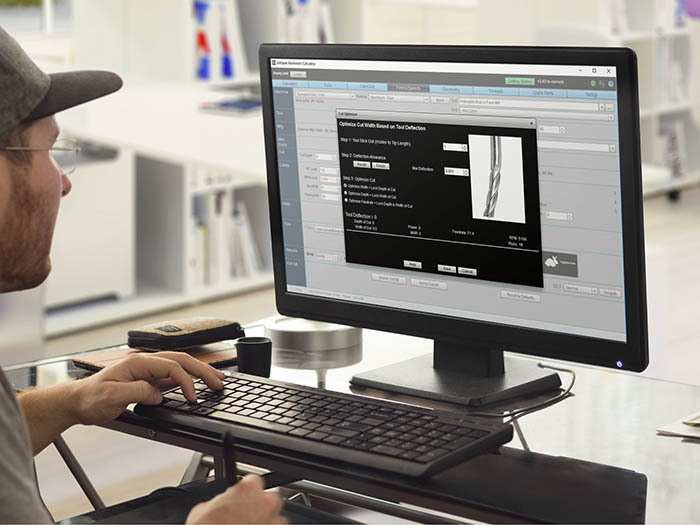 It’s almost magic the way it increases productivity while saving tool life. But figuring HSM feeds and speeds can also take magic, unless you have G-Wizard Calculator. Feeds and Speeds for HSM are easy. Chip Thinning, Adaptive Clearing, and Trochoidal Milling are covered. It evens tells you how much to slow down in corners for non-HSM toolpaths. Throw away those old speeds and feeds charts and pdfs. A chart is only 2 dimensional. It takes multiple charts to cover maybe 3 or 4 dimensions. They give you ranges that are tough to interpret when you just want the answer. G-Wizard’s cutting physics engine considers nearly 60 variables. No chart will ever do that! Chatter is a fact of life in production work. It kills tools and drives you crazy. 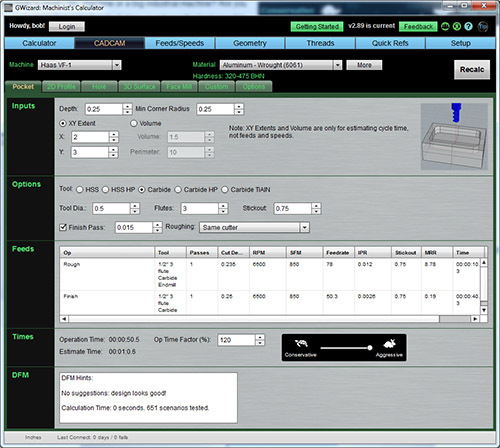 G-Wizard gives you a comprehensive tool kit to tame machine tool chatter. 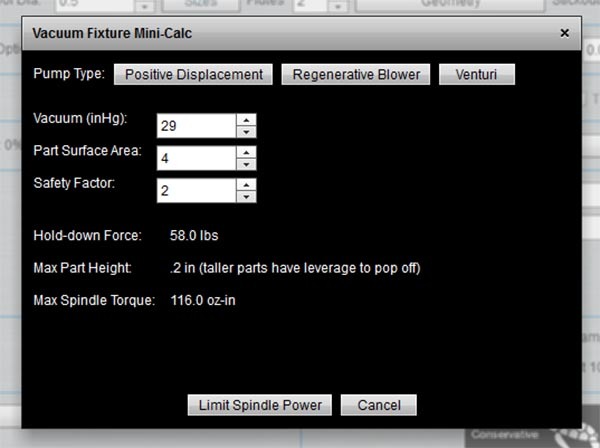 Calculate optimal spindle speeds to minimize it. Track it in your Cut Knowledge Base to avoid it on future jobs. You ever read all those great tips in the tooling catalogs? When to use climb vs conventional milling. 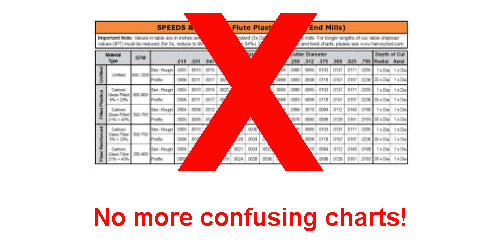 When to start peck drilling or switch to parabolic flutes. All those tips are wonderful, but who can remember it all? G-Wizard will remember them for you. It even has a comprehensive Cheat Sheet to help you bend Feeds and Speeds to your special needs. If you use a vacuum table you know what a pain it is when your parts pop off the table. G-Wizard has the ability to provide feeds and speeds that limit cutting forces based on your part so it won’t pop off. Quit scrapping parts because they pop off your vacuum table! The CNC Business can be tough. Get every advantage you can. For example, you paid extra for those special machine options. 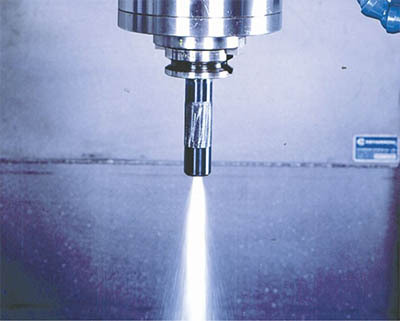 Programmable Coolant Nozzles. Through Spindle Coolant. High Pressure Coolant. 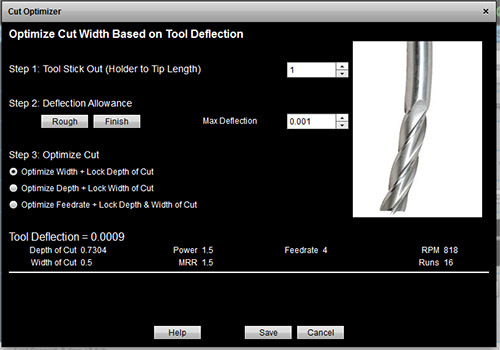 G-Wizard will take every bit of advantage when calculating feeds and speeds for your jobs. G-Wizard is not just for Pros, we’ve got beginners and hobbyists covered too. G-Wizard has the exclusive ability to adjust feeds and speeds to compensate for the lower rigidity of entry-level CNC machines. your machine. No more one size fits all feeds and speeds!. Plus, we offer free training courses, built in Getting Started Tours, Examples, and much more. 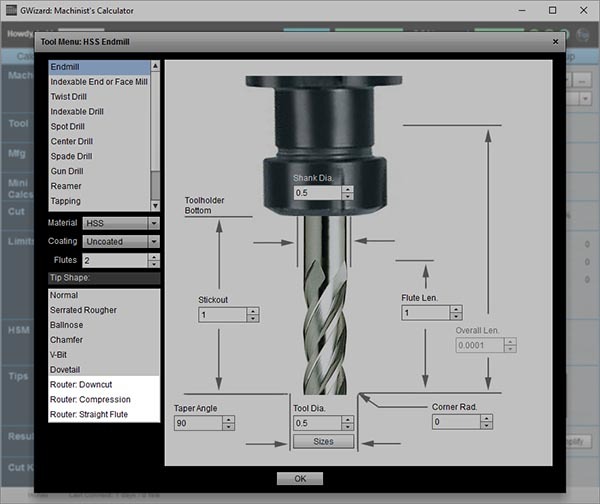 CNCCookbook is the world’s most comprehesive free online information resource for CNC’ers. Take advantage of it with G-Wizard! Why leaf through old-style handbooks when you can have interactive calculators at your fingertips? 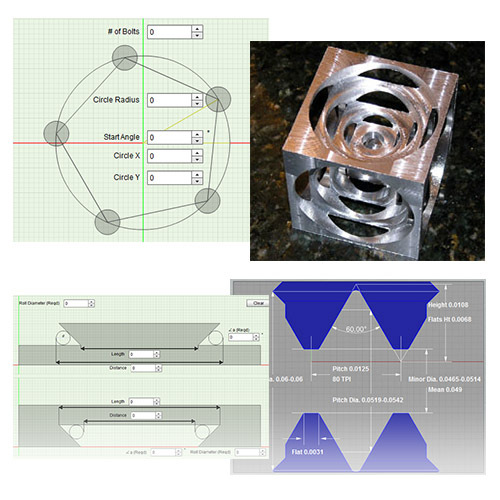 Bolt Circles, Trig, Chords, Thread Database, Fastener Dimensions, and much more. There’s even a Turner’s Cube calculator! G-Wizard isn’t just Speeds and Feeds, it has the most comprehensive reference resources available in any software package. have used our software. We hope you will too.